Jakub Przygonski and Tom Colsoul are holdings the flags up for the German X-raid Mini Team, which was not really presented with luck in the 2018 Dakar Rally. The Pole and his Belgian navigator finished 4th, right ahead of Mikko Hirvonen and Andreas Schulz who clinched 5th place in their Mini Buggy. Boris Garafulic and Filipe Palmeiro came 7th, Orlando Terranova and Bernardo Graue from Argentina took their Mini to 14th place. 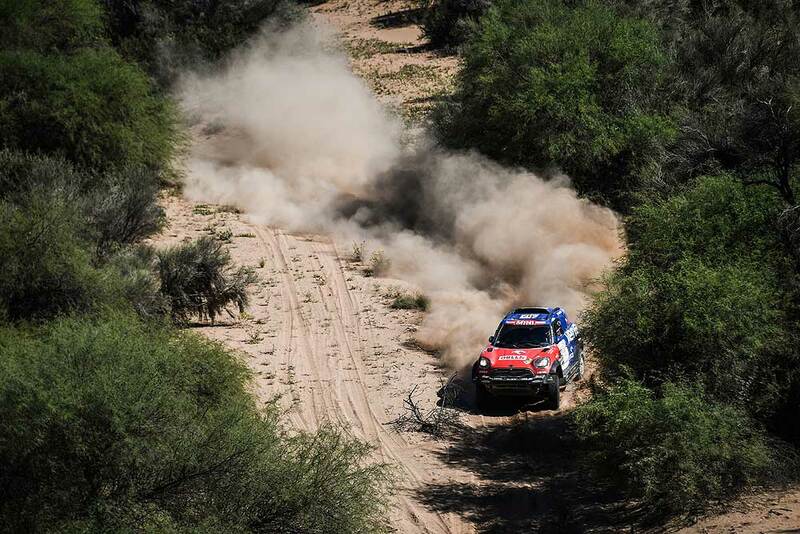 In the last big stage, Przygonski and Colsoul succeeded in also working their way up to 5th place in the overall standings as Toyota´s Bernhard Ten Brinke was forced into retirement by an engine failure. "We are sorry for what happened to Ten Brinke," said Przygonski. "He was very fast. The stage was really exhausting. The second part was very similar to WRC stages and a lot of fun. Nonetheless, we had to be attentive all the time as we had to pass several quads and motorbikes." In the early stages, Terranova and Graue got stuck in a hole. Hirvonen also got bogged down for a short time, there, but thanks to the help of his Argentinean team-mates he got going again a short time later and returned the favour by helping them out of the hole, too. "I was slightly too slow when I passed them as it was very, very narrow," explained Hirvonen. "But we could help each other. Apart from that the racing was really fun. In the second part I drifted through the corners all the time. I think the spectators enjoyed the action."